Penn State hockey has tried hard for over a month, falling to top ranked teams by the smallest of margins. The effort finally paid off on Friday night, with the Nittany Lions beating Robert Morris 3-2 at the Consol Enegy Center in Pittsburgh. Playing in the second annual Three Rivers Classic in Pittsburgh, Penn State took the ice after a long break since coming off of a narrow one-goal defeat to Top 15 ranked Wisconsin. The meeting with Robert Morris was PSU's second of the season. Penn State won the first contest 5-4. Penn State led the shot count in the opening frame 19-10 but both teams would remain scoreless after 20 minutes. The Nittany Lions would attempt 62-shots by the end of the night, one shy of the program record. Robert Morris opened the scoring though just under three minutes into the second period while on the man advantage, slotting one past Nittany Lion goaltender Matthew Skoff. 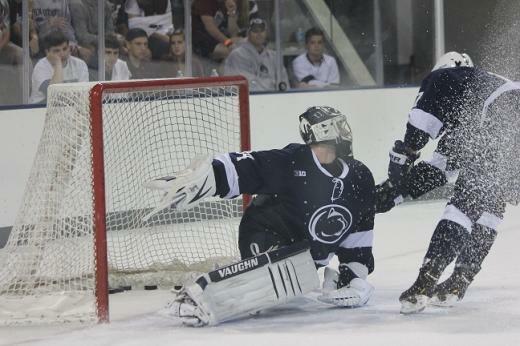 Penn State responded with 11:02 to go in the period to tie the game following a Nate Jensen power-play goal. Both teams traded the action and Robert Morris was able to take a 2-1 lead in the break with 1:21 to go in the second period after a scramble in front of Skoff. Despite the deficit, Penn State got off 27 shots in the second period, a program high for a single 20 minute frame. Nittany Lion captain Tommy Olczyk continued his productive play, tying the game with just over 10 minutes to play in regulation. Eric Scheid scored the game winner with 1:40 to play in the game, giving Penn State a much needed victory after a month of close losses and heartbreaking defeats. With the victory, Penn State will head to the Three Rivers Classic Championship on Saturday against Boston College. BC rolled over Bowling Green 5-0 in the first game of Friday's double-header at the Consol Enegy Center. Saturday's championship game is slated for 7:35. The Nittany Lions are looking for their fifth win of the year. A new documentary detailing the impact the Jerry Sandusky child abuse scandal had on the State College community takes a hard look at the concept of forgiveness. 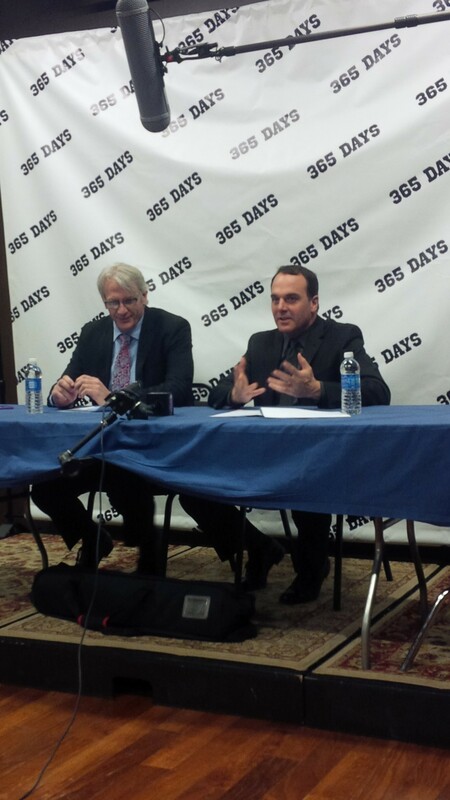 The first screening of the film "365 Days: A Year in Happy Valley" was held Friday night at The State Theatre as part of a red carpet premiere.